Looking at my 3 previous posts you may wonder what’s going on! 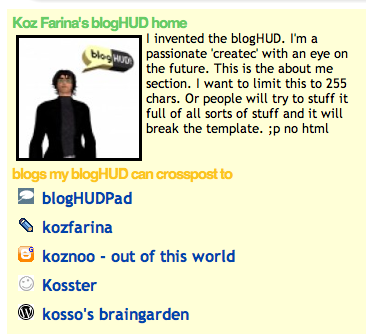 On Fleep Tuque’s blog I found a great tip about the use of a bloghud in-world. Wearing a bloghud enables you to send text messages or postcards, incl. text and Slurls from inside SL out to your blog(s) of choice. Many faculty are asking students to report on their experiences in Second Life, either by writing essays or blog posts, and it can be very tricky and time consuming to take a snapshot, save it to disk, re-size it and convert it to JPG, upload it to Flickr, and then create a blog post about whatever it was that you saw or experienced. If you also want to include a SLurl or link to the location, that’s another step that requires you to flip back into SL to copy and paste the SLurl, etc. 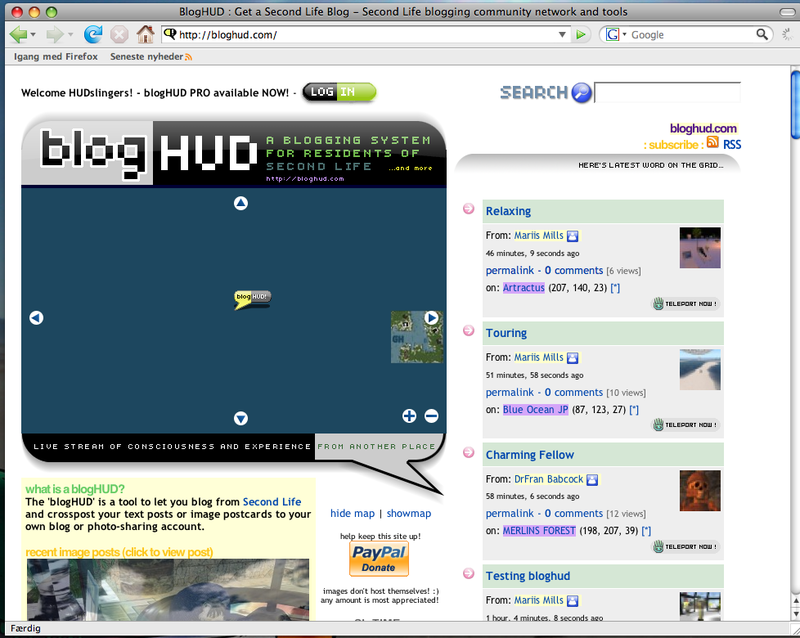 The BlogHUD does all of these steps for the user once it is setup and configured properly. I’m amazed at how easy it is to use – you simply wear it, type /9 and then your text .. or longer text write a notecard. Simple, huh ?